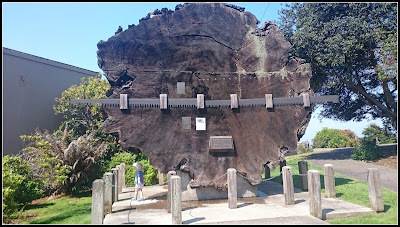 Redwoods Roadtrip Part 2 - Eureka! Driving through a redwood is like watching an episode of Game of Thrones, once it is over you can’t believe what has happened, you feel strangely elated, you immediately want to talk to someone about it, followed by an urge to repeat it all over again. The further North I creep in California, the deeper I fall in love with this state. Growing up in Ireland my Dad talked wistfully of visiting the redwoods someday, it was ingrained in me, I thought it would stay in the margins of a mental bucket list, but now I am within striking distance of these gentle giants.